On Wednesday evening, Hillary Clinton and Bernie Sanders took part in the eighth Democratic Debate live from Miami, Florida. The debate aired on CNN in partnership with Univision and The Washington Post and was moderated by Karen Tumulty, Maria Elena Salinas, and Jorge Ramos. 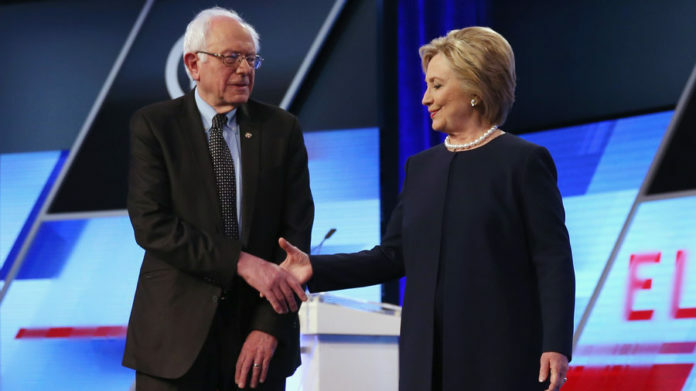 Clinton and Sanders were asked tough question about immigration reform. Clinton defended her position of enforcing the border, but giving people who are currently in the country a clear path to citizenship. She also attacked Sanders for not supporting a immigration reform bill in 2007. 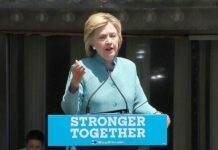 Clinton focused on immigrant families saying that she promised to “knock down barriers” for everyone, especially in the realms of employment and housing. Other topics that came up during the debate were the Republican opposition, newly renewed relations with Cuba, Clinton’s use of private email during her time as Secretary of State, and the 2011 attacks in Benghazi. A full video from the debate is below.